Learn how to shape a joke so it will get a laugh by learning what triggers laughs & how to write new material each night. With in-class & take-home assignments, you'll explode your understanding of how to get consistent laughs with your comedy. From beating stage fright to learning how to develop the techniques of verbal inflection and act-outs. You'll quickly learn to elicit laughs through the performance skills that go beyond jokes to act-outs, attitudes and personas. Also learn how the power of silence can elicit laughter! Persona and attitude are at the root of what makes stand-up so unique. Develop YOUR persona and stand out from everyone else. Learn to let your attitude and your TRUE self shine through. Discover how the laughs can be more effective with a solid comic character. 3 Class Times to Fit YOUR Schedule! Comedy only occurs when specific stimuli is present in the material being presented. 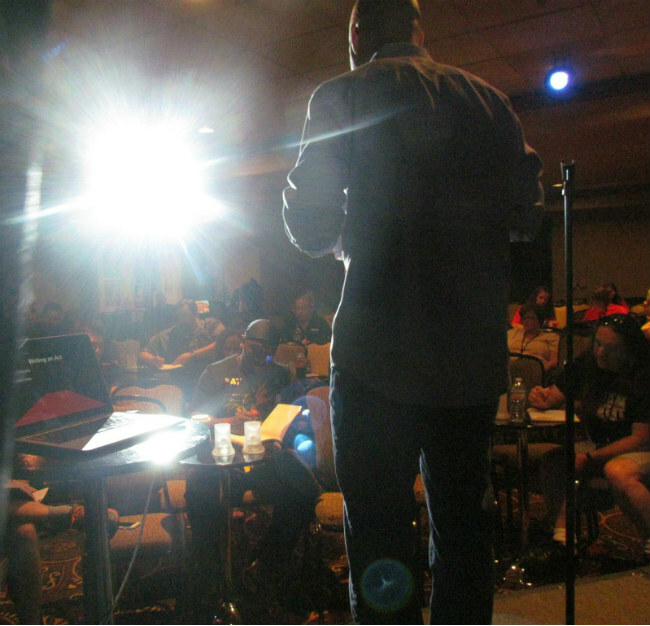 Through writing exercises, each class you will learn and practice creating comedy material by applying the crucial strategies used by the most successful comedians and comedy writers so you can take your life and your observations and turn them into laugh-out-loud comedy! Each and every class students take the stage and deliver their ideas utilizing the comedy structures they are taught each week during the lecture and writing portion of the class. Students are encouraged to explore their freestyle and improvisational selves as well. The emphasis is on the student becoming their most authentic self. 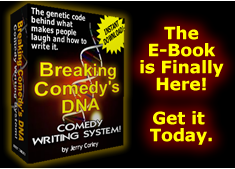 Learn the major comedy structures used by every popular comedian or comedy writer. The human brain is wired to laugh at certain stimuli. Be sure to include them in your jokes. A comedy set should have a beginning, middle and end. Learn how to craft a professional set. Learn simple but powerful techniques to overcome stage fright. Learn how to use emotion to create a super compelling performance. You’ll Love This! Answers to taking your comedy to the next level. A quality video of your act is the key to success. There’s no better video in the industry. Jerry Corley is a 27-year touring professional comedian, comedy writer and screenwriter with multiple television appearances as a stand-up. As a writer Corley has 8 years writing for the Tonight Show with Jay Leno and a screenplay to his credit called "Stretch," which stars Chris Pine, Ray Liotta & Jessica Alba. As a teacher: Jerry was invited to the prestigious Meyerhold Institute in Moscow, Russia where he taught 24 Russian actors how to do "western-style" comedy. 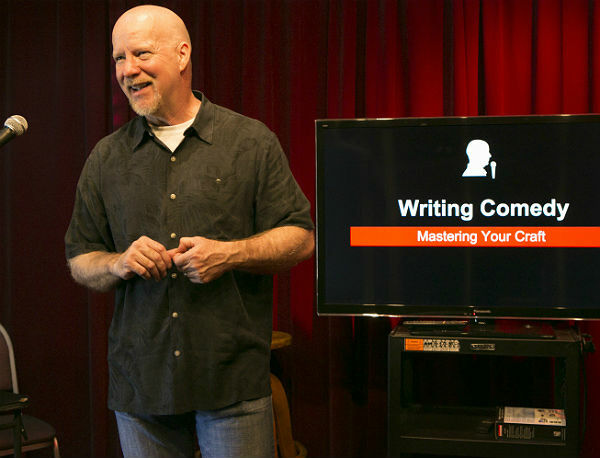 While you can learn something from anyone, no one has the depth of credentials or the experience in performing & comedy writing to teach stand-up comedy like Jerry Corley. So What Makes Jerry Corley's Classes Different? 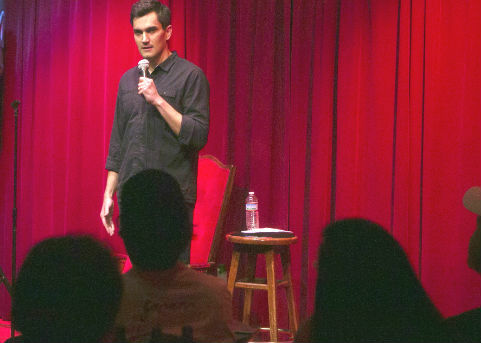 What sets Jerry apart from almost all the other comedy instructors you'll find in L.A. is the that Jerry is not only a comedian but a professional comedy writer. He can help you to understand what triggers human laughter and help you understand why something is funny or not funny and then help you to fix the joke. Jerry emphasizes structure in your jokes and your material. Because whether you're a 1 & 2-line comic or more of a story teller, structure is what gets laughs. My life partner and I just finished our second round of Jerry's classes. I just love Jerry as a comic and a teacher. I love it when I meet a person who loves sharing a special insight on life and that's how his instruction occurs for me. I could have started stand up with any program in town, but a friend recommended him and now I see why. I must say, he is truly great, I definetely have a great time learning from Jerry each and every lessons-PROUD STUDENT. I started taking classes through Jerry's studio in June '16. I've taken 3 of his classes, and I'm repeating one of them. Once I got out of my own way, really started paying attention to Jerry, plus doing the homework, Ive been blown away by my progress and improvement with my joke writing. I cannot begin to tell you how amazing this workshop is! I've been doing stand up comedy for many years now, I have every book written about it, took a couple of workshops too and this is the best I've encoutered by FAR! Not only will you learn about a zillion ways to find and write comedy, you'll be given essential tools that will help you in your everyday writing as well as in your career planning. Do not miss this one, you will be amazed by Jerry's incredible knowldege. I like to give everyone a chance to sit in class and check it out to see if it's a right fit. I think you'll be amazed at how the science of comedy can give you control over your sense of humor. So sit in and give it a shot. I mean, really? What have you got to lose? 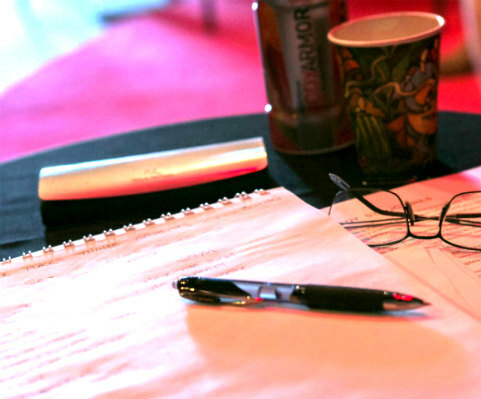 Stop Staring at a Blank Page! Downloaded by over 10 thousand people, this is the book that breaks comedy down to its understandable structures, leaving you in control of your comedy. Share and Spread the Laughter!